So much for sharing that XXL cover. 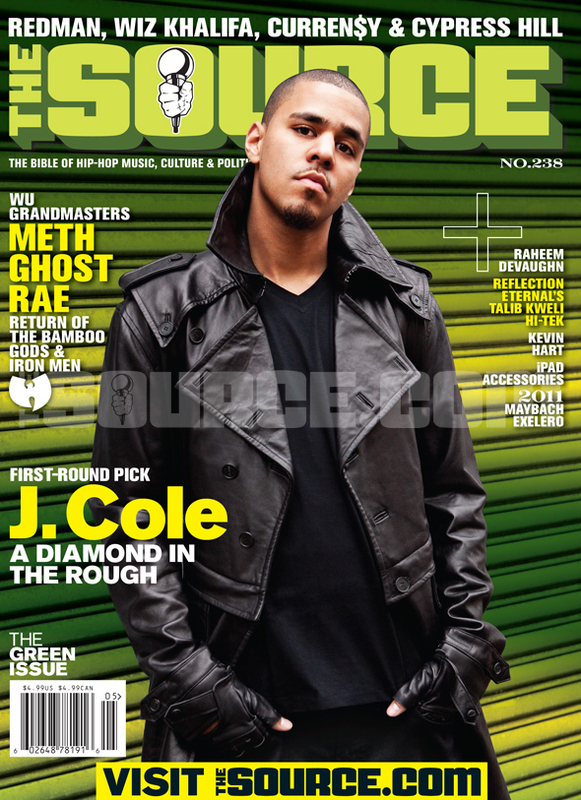 Roc Nation artist J. Cole covers the April/May issue of The Source Magazine. Not a bad look for a new jack with no album. J. Cole is nice with the words and verbs, though. Props to the stylist who gassed him into wearing that jacket. No shots. Video of “A Star is Born” peformance in NC below via Nah Right.